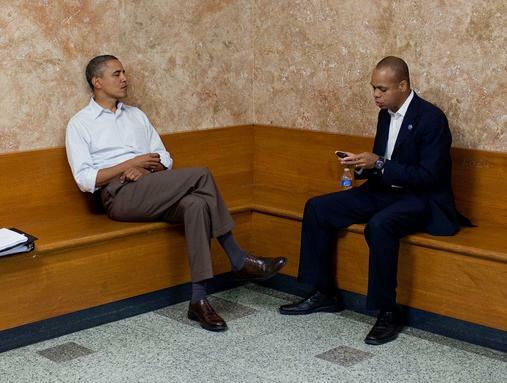 In a move clearly signaling that planning for the 2012 Presidential election is underway, President Barack Obama's "go to" man Patrick Gaspard is leaving the White House to serve as Executive director of the Democratic National Committee. Patrick Gaspard is a great person. He is a key Assistant to President Obama, having served as the Political Director of the White House for the last two years and before that as Political Director to President Obama's campaign. He understands the importance of grassroots politics and team building. He is someone with whom I have worked closely and I look forward to working with him even more closely at the DNC. Gaspard's move also signals the almost complete acceptance of hard-left and labor union influence in the upper reaches of the Democratic Party. In embracing Gaspard, the D.N.C. has surrendered its "commanding heights" to the Party's almost completely dominant far left. While never a proven member of any of the several radical and Marxist organizations operating within and the Democratic Party, Gaspard has worked with several of the most influential. He is undoubtedly a servant of the far left. Patrick Gaspard’s father moved with his wife from Haiti to "post-liberation" Zaire, when its pro-communist leader, Patrice Lumumba, appealed to French-speaking academics of African descent to teach in the impoverished nation. Like Barack Obama, Patrick Gaspard wrote poetry. Also like Obama, Patrick Gaspard grew up admiring third world leftists and revolutionaries. 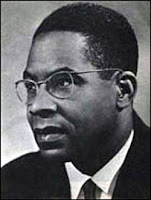 He idolized Aime Cesaire, a Member of the French Parliament for the Communist Party, who went on to found his own leftist party in his homeland, the French colony of Martinique. Cesaire also mentored the anti-colonialist Marxist theorist Frantz Fanon, of whom Obama wrote admiringly in his autobiography, Dreams From My Fathers. Patrick Gaspard got his start in politics in the mid 1980s, organizing demonstrations in New York City for "social justice" in Haiti. He got his first taste of campaign work in the 1988 presidential campaign of Rev. Jesse Jackson - who, like Obama, was a product of the Chicago socialist/communist machine. Dinkins was at the time, a member of the largest Marxist organization in the U.S., Democratic Socialists of America. In 1997, outgoing Manhattan borough president Ruth Messinger, a Communist Party USA front activist and also a member of Democratic Socialists of America, enlisted Gaspard for her doomed mayoral campaign against Rudy Giuliani. In 1999, Lopez loaned Gaspard out to help Local 1199 of the Service Employees International Union to organize a march in protest of the police shooting death of Amadou Diallo, a Guinean immigrant. The SEIU Local 1199 was one of the central organizers of the civil unrest that followed, and its president Dennis Rivera asked Gaspard to coordinate those efforts. Dennis Rivera, later recruited Gaspard to the union - where he rose to the rank of union Executive Vice President. It is important to note that Local 1199, isn't just any labor union, it New York's most powerful and socialist labor union. Founded in 1932, the union was led by members of the far left from the start and was investigated in 1948 by the House Un-American Activities Committee for Communist "infiltration". At at a March 2007 meeting to celebrate the Communist Party USA donation of its papers to New York's Tamiment Library, Steve Kramer, executive vice president of Local 1199, spoke of the Communist Party’s role in building and maintaining his union. Recounting 1199’s ''disastrous'' 1984 strike and internal strife in which ''the union almost tore itself up'', Kramer said that but for the party’s efforts, “'1199 would have been a small union''. Today, with nearly 300,000 members, it is the world’s largest union local. Among those Local 1199 officials signing the Communist Party dissenter's "An initiative to Unite and Renew the Party" document, which brought tensions to crisis point, were Paul Friedman (Local 1199 Vice President), Rafael Pizarro (Local 1199 organizer), Geoffrey Jaques (associate editor 1199 News) and Marshall Garcia (Local 1199 executive Vice President). Pizarro also went on to help found the radical New Party, which Barack Obama helped establish in Chicago in the early 1990s. Also of note is the late Merrilee Milstein, who was from 1972 to 1994, Vice President of the New England Local 1199. Milstein was a hard left activist in her own right and was married to Communist Party member Brian Steinberg. Milstein left 1199, to become assistant to then Connecticut Secretary of State Miles Rapoport - now president of the ACORN supporting, DSA infiltrated, New York-based "think tank", Demos. Gerry Hudson, now a vice president of the SEIU, also got his start at Local 1199 in New York. Hudson is a member of Democratic Socialists of America and also serves on the board of the Apollo Alliance - founded by Obama's former "Green Jobs Czar" Van Jones. 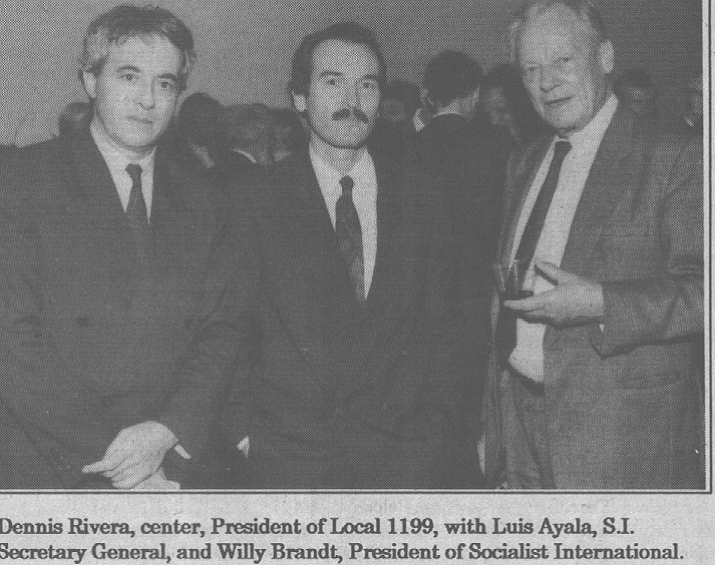 Gaspard's 1199 patron Dennis Rivera also has strong socialist and communist ties. A one time New York State Democratic Party Vice Chairman, Rivera, in November 1989, addressed a Boston conference of the Communist Party USA front U.S. Peace Council, with future Vermont Senator Bernie Sanders. 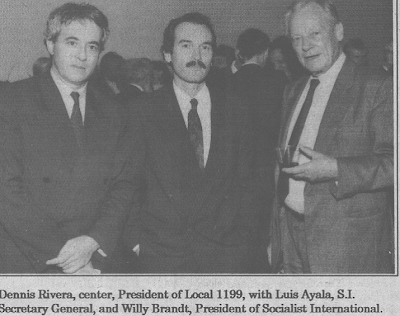 At the October 1990 gathering of the Socialist International in New York, Dennis Rivera, "graciously welcomed the delegates on behalf of his 75,000 member union." Speakers at the Opening Plenary at the 1992 Tenth Annual Socialist Scholars Conference, "Whose New World Order?" included Bernie Sanders, Member of Congress, Vermont and Dennis Rivera, President, SEIU Local 1199 Health & Hospital Workers Union. On June 24, 1993 New York City Democratic Socialists of America held its annual Debs-Thomas-Harrington awards dinner. Local 1199 president Dennis Rivera and DSA member Deborah Meier of the Central Park East Secondary School, received awards. In March 1998 Meier spoke alongside Barack Obama at the Memorial Service of Chicago DSA member Saul Mendelson. Featured speakers at the awards ceremony included included New York State Comptroller H. Carl McCall, Manhattan Borough President Ruth Messinger and DSA honorary chair Cornel West. U.S. Rep. Nydia Velasquez (D-NY), who was unable to attend because of Congressional commitments, sent greetings. Later Gaspard helped Yvette Clarke win the Congressional seat vacated by Democratic Socialists of America member and Communist Party USA supporter Major Owens. Clarke is now a member of the far left Congressional Progressive Caucus - which was founded in 1991, by Bernie Sanders and Democratic Socialists of America. In 1995 Patrick Gaspard was an organizer for the New Jersey chapter of the New Party, a creation of ACORN, SEIU , D.S.A. and the Committees of Correspondence. According to Democratic Socialists of America's Democratic Left issue of Summer 2001. Cornel West - DSA, New Party founder, 2008 member of Barack Obama's Black Advisory Council. 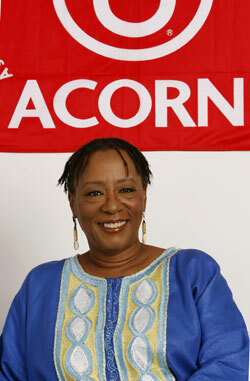 A Progressives for Obama endorser. Frances Fox Piven - DSA, New Party founder, co-creator of the famous Cloward-Piven Strategy for wrecking the US economy. A Progressives for Obama endorser. Steve Max - DSA Director of Organizing and Training, Midwest Academy Chicago. Hector Figueroa - SEIU, a regular speaker at DSA's Socialist Scholars Conferences - including the 2004 event where Van Jones also spoke. Andrea Batista Schlesinger - on the board of the Oakland based Applied Research Center which is closely aligned with Van Jones' Ella Baker Center for Human Rights. Nathan Newman - former Committees of Correspondence National Coordinating Committee member , who recently wrote in the Daily Kos "I knew Van (Jones) pretty well back in the early 90s when we were both involved in community organizing efforts, including involvement in a variety of left-leaning groups". Patrick Gaspard was "made" by the same socialist "mafia" who made Barack Obama. Now these socialist "twin souls" face the struggle of their lives, the war for the White House 2012. Obama cannot succeed in 2012, without complete control of the Democratic Party machine. He'll surely be sleeping a little easier now, knowing that Patrick Gaspard has back over at the DNC. when I read the posts on this site all you seem to be doing is reporting on people whose views you disagree with, who act openly expressing their views on who to further the egalitarian and democratic foundations of this country. Yet you seem to be implying that their is something nefarious or covert in their actions--it is such implications that seems anti-democratic and Anti-American to me. No one asserts that these persons have no right to have views that are so disparate from ours. What we are concerned about is the fact that these persons HIDE their true agendas and points of view. They pose as pro-American, pro-Constitutional Republic entities when, in fact, they are socialists, Marxists, Maoists, Communists, or "fellow travelers." It's pure naivete to say that everyone is aware of the far left views and associations that this blog reports. If the American people really understood what these individuals INTEND for the U.S., most of them would be outraged. I'm a registered Democrat who is horrified to discover that my Party has been co-opted by committed leftists, leftists who, in FACT (not just supposition) are working to "fundamentally transform" our Constitutional Republic. Obama and his cronies are "ruling" via executive fiat and a bureaucratic power elite, an oligarchy that our Founders rejected in the Declaration of Independence and the Constitution. Trevor and others are busy shining the light of Truth on people who prefer that their true associations and beliefs remain in the shadows, in the dark, so that the American people lose their liberty so gradually they won't quite notice it -- until it's too late to get it back. We firmly believe in first amendment rights for them. They, on the other hand, seek to silence us through the FCC takeover of the internet, etc.